Technology can be a powerful tool to help us meet the Common Core Standards and move our students forward to prepare them for success in school and beyond. In general, the Common Core calls for the seamless integration of technology into the curriculum. There are also specific Common Core standards dedicated to using technology. The Speaking and Listening strand across all grade levels asks students to create presentations that are enhanced by a spiraling complexity of multimedia components. I am excited and nervous about this standard. My excitement stems from a strong believe that students can construct deep knowledge about a topic as they engage in building a multimedia project. If used efficiently, a well designed student-driven learning experience can take the place of traditional methods of teaching content. My nervousness stems from the possibility that some teachers might simply add a multimedia enriched project to the end of their unit as a culminating activity and then spend large amounts of class time giving each student an opportunity to present to a passive audience of their peers. In this case, there will be loss of instructional time, loads of frustration, and most likely lack of enthusiasm from students as technology is used to make them do more. Effective instructional technology integration calls for using technology as a tool for learning, not as an add on. To truly make a difference, there needs to be an adjustment in instructional practices. My suggestion is for teachers to abandon the role of “Content Deliverer” and take an approach in which they become a “Facilitator of Learning”. Start with an Essential Question to drive the learning. Make sure the answers to the questions are complex and can’t be answered with a copy and paste. Provide students with multimedia platforms that allow them to take flexible learning paths to meet their unique learning styles. Allow students to work in collaborative groups to prompt discussion and decision-making. Serve as a Facilitator of Learning. Spend instructional time interacting with students as you informally assess, reteach and challenge them on the spot. Provide students with built in tech support so you can focus on the content, not the technology. Design sharing opportunities that are engaging and non-traditional. Return to the Essential Question and assign a related task for accountability. Provide students with access to a portable learning device and let them learn and explore instead of watch and daydream. Most important tip: Start by creating your own sample to fully understand the task you are asking students to engage in. Here is an example of what a student might create as the result of a learning experience driven by an Essential Question. 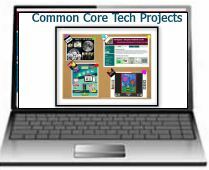 This Common Core aligned student-driven multimedia powered project is one that requires students to construct knowledge and it was created with ThingLink. 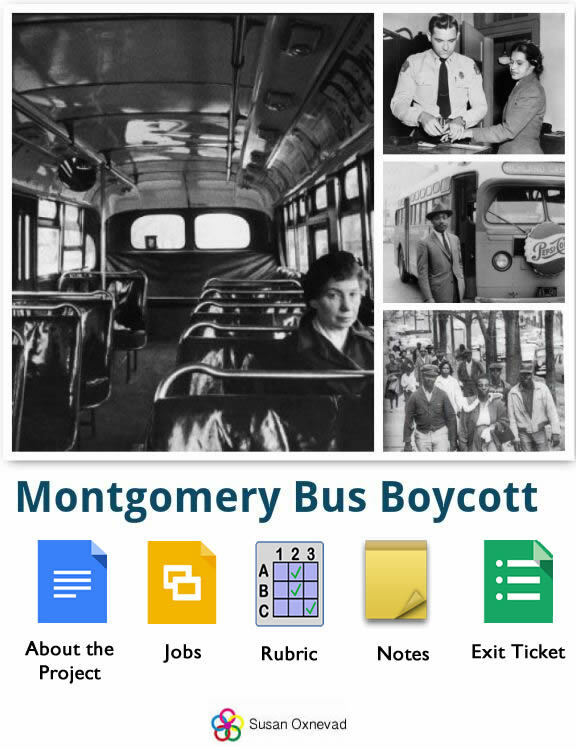 Why and how did people struggle for social justice during the Civil Rights Movement? I found this blog on a higher education site. I will be sharing the ideas with my staff even though my school is filled with high school students. The ideas cover a broad range of ages.